This Emphesys Health Insurance Company Review details Louisville, Kentucky-headquartered Emphesys Insurance Company. 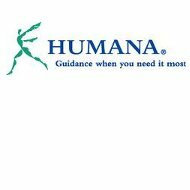 This company is a wholly owned subsidiary of Humana Inc. The company is one of approximately 650 locations owned by Humana Inc. Emphesys was founded in 1995 and is a direct marketer of accident and health insurance policies. Use our search tool to compare your health insurance rates with health insurance quotes by providing your zip code now! Then continue to read about Emphesys Insurance Company to learn if Humana’s health insurance products and services match your needs. Humana no longer markets the Emphesys Insurance Company brand. According to a report published by Jupiter Research Group in 1995 entitled “Humana’s Emphesys: Leveraging Technology to Create Consumer-Centric Health Plans,” Emphesys was the company’s entrant in developing an entirely paper-free health insurance plan. Emphesys was designed to accept health insurance plan enrollment and payment on the Internet. The goal of a web-based health insurance company sales portal was to increase sales and lower administrative costs. As such, Emphesys was an early Internet direct-marketing health insurance program offered to improve the operating margins of health insurance products. In 2011, many health insurance companies offer Internet-based health insurance sales portals. Emphesys Health Insurance Company and Humana Inc.
Emphesys was an early attempt by Humana Inc. to directly market health and accident insurance coverage to individuals and families. Humana is a significant player in the health insurance markets. The company is one of the most significant Medicare providers in the United States. Humana offers Medicare Advantage policies, along with a variety of prescription medicine insurance plans, to about 3.4 million people. In addition, the company administers Medicaid in Puerto Rico and Florida, and TRI-CARE programs for military personnel and their families in 10 states. The company provides health insurance for about 10 million Americans. In addition, Humana uses a national network of independent brokers and agents to sell health insurance plans to new customers. Health insurance programs are considered low margin financial services products by many independent insurance brokers and agents. That is, commissions earned from health insurance sales may be lower than commissions earned from life insurance or retirement plan products. Humana Inc. is a publicly owned company. The company’s shares trade on the New York Stock Exchange (Symbol: HUM). According to the company’s investor relations site, Humana generated approximately $33.87 billion in fiscal year 2010 sales. The company achieved a 9.39% growth rate that year. Humana’s net income was approximately $1.1 billion. Net income grew approximately 5.74% year-to-year. The company has assets of approximately $16.1 billion. Almost two-thirds of Humana’s revenues are generated from the sale of government insurance program premiums. About half of Humana’s revenues are derived from Medicare-generated premiums. Government contracts bring steady business, allowing Humana to make financial and business decisions without true revenues concerns. Humana also sells administrative services to other insurance companies, including self-insured company plans. Humana works with PPO, HMO, and health savings programs to manage risks and process health insurance claims on an expedited basis. “SmartExpress” and “SmartSuite” options allow employers to customize the health insurance products and benefits offered from Humana’s vast menu. In 2010, Human purchased Concentra, an occupational medical, wellness, and urgent care provider for about $790 million. Concentra’s acquisition delivered 300 outpatient care centers and more than 250 work environment clinics around the United States. Humana Inc.’s website offers individuals and businesses the choice of selecting health, medical, and wellness services online. Customers select the health insurance plan that best meets their needs, and then select the deductible amount they prefer. Higher deductible plans can make health insurance more affordable for many consumers. Humana offers a range of products to suit the needs of many consumers, including short-term health insurance coverage plans. If you’re looking for “stop-gap” insurance between jobs, buying short-term health insurance may be a more cost-effective solution than purchasing a former employer’s COBRA coverage. Get comparative health insurance quotes to save money on your health insurance rates by typing in your zip code right away!